A Lotus começa aos poucos a implementar os seu plano de 5 anos conhecido por "New Era" e um dos pilares do mesmo é o aumento da qualidade dos seus produtos actuais. O primeiro modelo a incorporar esta filisofia é o novo Lotus Evora que na sua próxima versão contará com mais de 130 melhoramentos sugeridos muitos deles pelos clientes da marca. 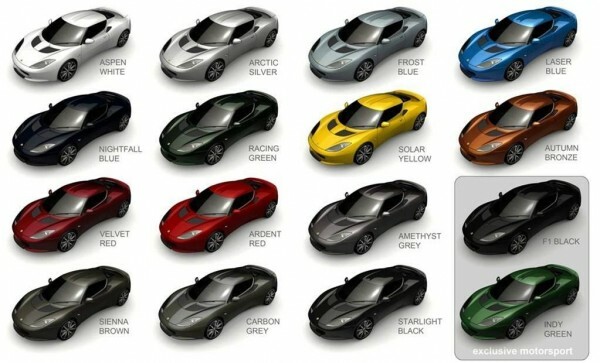 Fica aqui um excelente artigo de Andy "Bibs" Betts, CEO do The Lotus Forums e um dos nossos colaboradores. 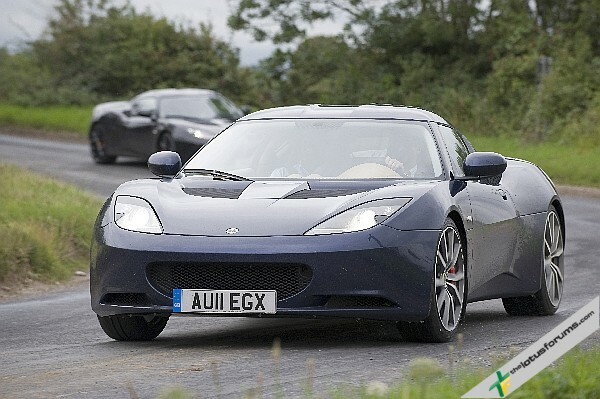 Group Lotus have confirmed that the Evora will be in their line up of cars until 2017 when the new era Elan will be its replacement completing the lineup of new era cars. 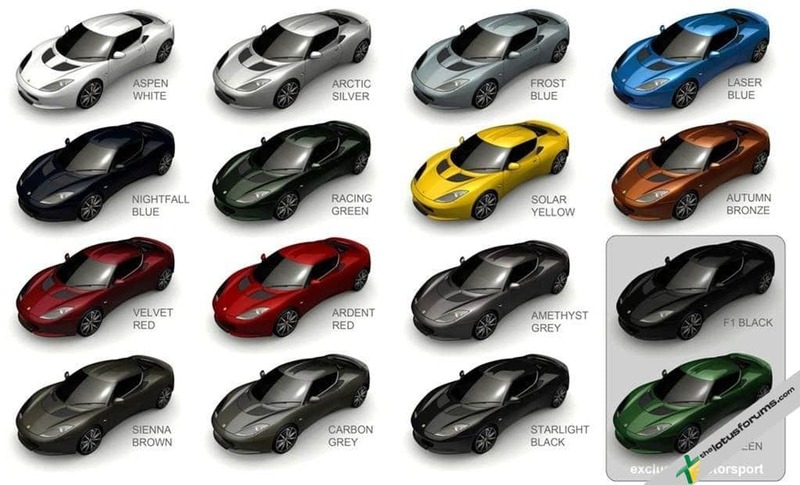 In the meantime, the regime under CEO Dany Bahar have stepped back from the Evora, listened to feedback from customers and retorted with the MY12 car showing 130+ improvements to make for a more satisfying car to own and enjoy. Bahar explained that initially under his tenure the company focused on the new 5 year plan and getting 5 new cars to Paris to ensure the long-term future of the company and its solvency going forwards. Now to sustain the business they are now taking stock of what they have and improving it in line with the company’s future standards, ideals and ethos and first to be seen by the media is the MY12 Evora. 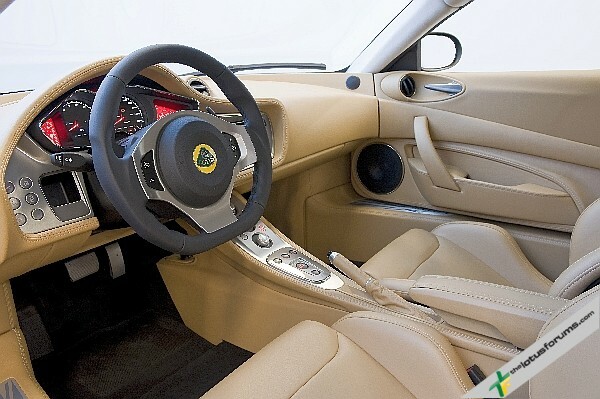 Lotus hope that the MY12 Evora will be an opportunity for the company to showcase the direction in which they’re heading and to show the capabilities and resources that they now have. They want to improve the perception of the car and broaden its appeal and fulfil the Evora’s potential in its market segment. Although the MY12 is a huge step forward in terms of the quality of the car, this is part of a continuous improvement program and MY13 will feature more steps to making the Evora an even better car than it is today but we’ll not see these further improvements for 12 months. Ian Fry, Evora Platform Manager highlighted 4 initial areas where the car would benefit from immediate improvement. 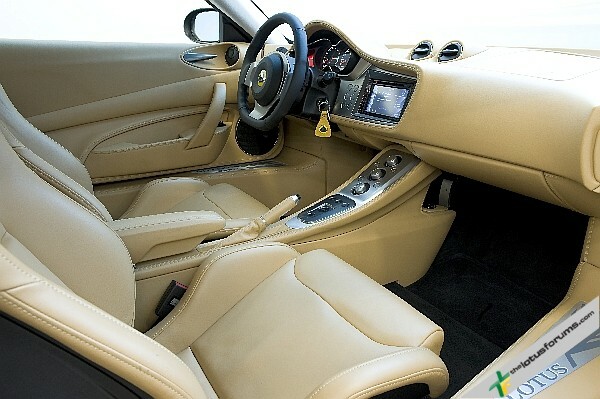 The interior was the first area they concentrated on and improvements in this area are plentiful and make up a significant amount of the work that’s gone into the car. The steering wheel is now covered with different, higher quality leather and featured stitching detail and behind this the rev counter now has tell tales for the sidelights and dipped beam, much easier than having to guess if your lights are on during the daytime. 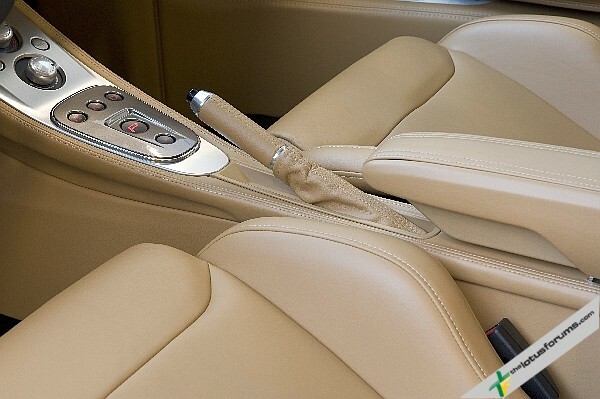 The gear lever is a new item as is the polished bevel surround, higher and more tactile to aid gear changing. This and the new low friction motorsport derived gear cables make for a huge difference in the shift quality. The ‘S’ now featured gunmetal coloured panels and steering wheel detail to differentiate it from the NA model and all feature a new Pioneer infotainment system, a significant change over the dreadful Alpine unit fitted to earlier cars. 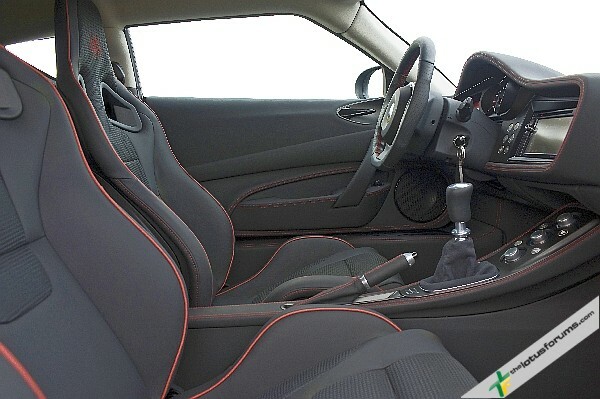 The sills are now protected with a nicely detailed kick panel and the sill itself is backed with foam scrim for a much more pleasant tactile feel, customised car mats are now standard across the range. The door seal has been improved which now covers the area better hiding what were visible bolt heads and it’s been rerouted to reduce wind noise at speed. The one piece item no longer has join lines or mould marks and a change of adhesive addresses complaints of resin smells in the cabin. Throughout, better quality leather and higher stitch counts improve the overall look and feel plus the door locking mechanism has been revised to offer a better quality striking pin for less noise and removal of the lock pin for a cleaner look. The exterior handle has been reworked for a more solid sound and interior grab handle is much improved ergonomically as it’s now a leather trimmed piece rather than the poorly fitting 2 piece plastic component seen before. £200,000 has been invested in equipment and an extensive retraining of staff has been undertaken in the newly built on-site trim shop. 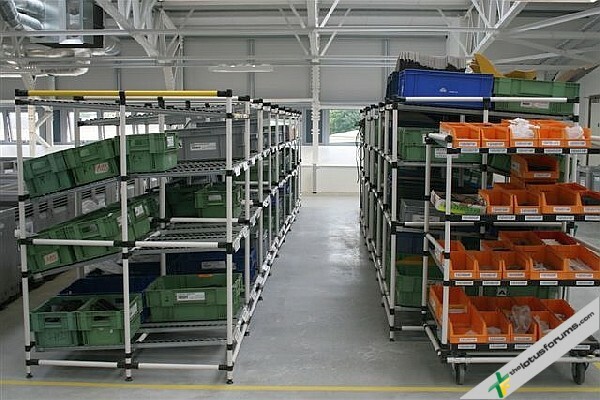 Director of Operations Micheal Och explained that the improvements start with the people then the components, quality is his passion and his staff have learnt that simply assembling the parts isn’t acceptable any more, everything must, must be perfect at every stage. Although none of these changes in themselves are game changing, the sum means that the car is a much more pleasant, pleasing and certainly competitive car and would increase ownership satisfaction considerably. 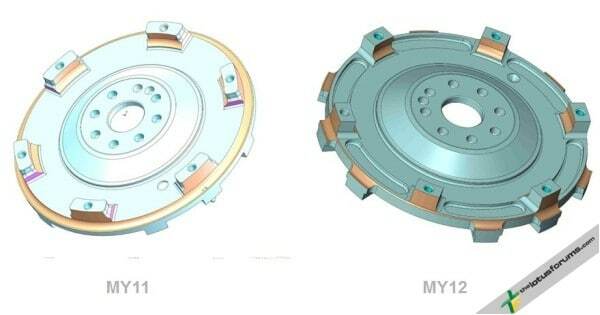 Matt Becker, Chief Engineer, Vehicle Attributes explained that the along with the new gear change cables there is a new low inertia flywheel and clutch fitted to the MY12 Evora. 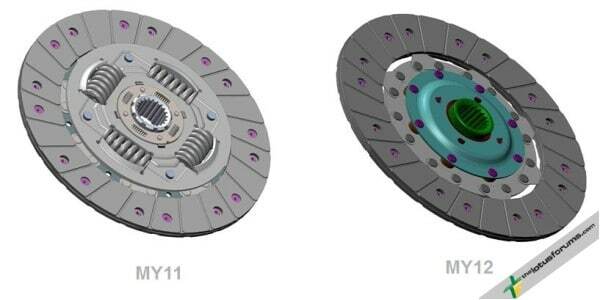 The flywheel which has 46% less inertia improves engine response and the 36% reduction in clutch inertia means easier changes over 6,000 RPM and a quicker shift as the gearbox syncromeshes have more time to align the gears. Having driven 5,000 miles in an Evora, the first time you select a gear in the MY12 car the difference is startling, how smooth and precise it is, a huge improvement. 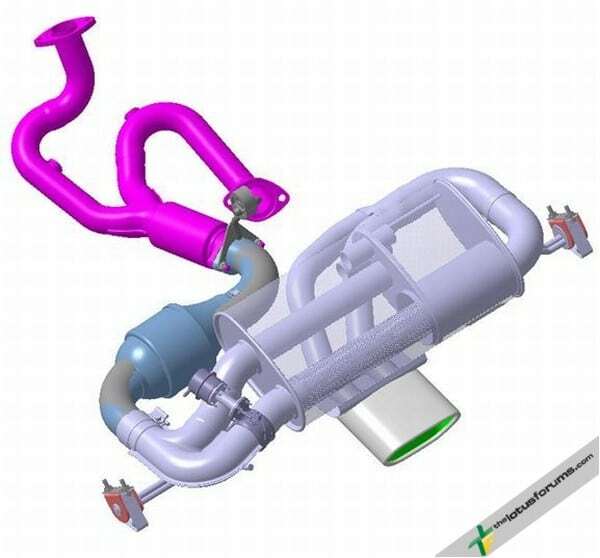 The engine mounts have been improved to reduce tip in/tip out engine rotation by 40% which helps with low-speed stop/start traffic driving and the exhausts is now fitted with a valve which opens at 4,700 RPM to allow the silencer to be bypassed (1,500 RPM in Sport mode) which gives the engine a much improved note, now a very sporty sound with an urgency and great bark higher up the rev range. The suspension is class leading however small improvements include a 15% increase in the stiffness of the rear wishbone bushes and 0.5mm increase in ARB diameter to stiffen the rear axle across the range and the ‘S’ features a slightly stiffer damper. In terms of the overall package, the Evora customisation for future customers is much more flexible with more options available. There is a selection of new wheels available and the Sports pack includes red painted calipers. 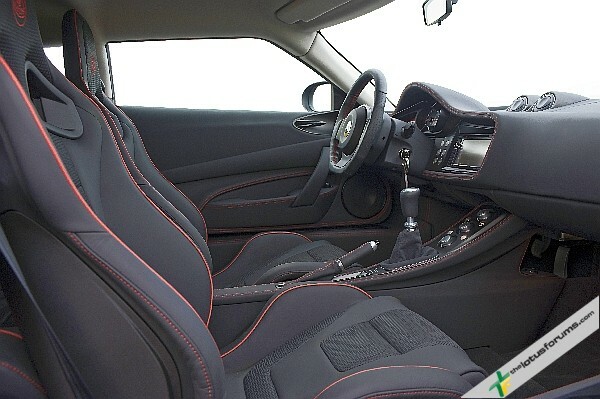 There are new paint options, a choice of 7 leather colours and 3 seat styles (Sports Premium, Executive and Suede-tex) which can be embroidered or embossed as per the customers preference along with a choice of headlining. The interior lighting pack is now fully LED so all lights in the car are the same colour whereas the previous was a mix of yellow tinted incandescent and blue tinted LED. Bi-Xenon headlights are standard across the range and colour coded door handles are no longer a cost option. Many of these changes are exclusive to the MY12 car but you’ll notice a few creeping into the current production cars as the model has evolved. Good news for existing owners along with the fact that many of the upgrades can also be retro fitted to existing cars, although some are harder work than others such as the infotainment system is a jump lead change and unit swap but the valved exhaust would be a significant amount of work. The new gear change cables will soon be available from aftersales which will help anyone who is struggling with their gear change. Dany Bahar and Wolf Zimmermann took some time to explain the Evora GTE which will be unveiled in Frankfurt next week and Wolf went on to explain, with a satisfied smile that the new V8 has been fired up on schedule and is exceeding expectations in most areas, excellent news. We hope to return to Hethel soon to give you more details on this very exciting part of the company’s future plans.